Our Sponsors and Donors are critical to the wellbeing and development of Guthrie-Smith Tutira’s activities. The annual income from our investments and the willing help of volunteers help sustain the property however we are reliant on the financial support and other assistance we receive from our benefactors. We are extremely grateful to many organisations and people who support our endeavours financially and who have enabled the Trust to create such a unique asset for the education and enjoyment of both young and old. The trust is a registered charity and all donations are therefore tax deductible. 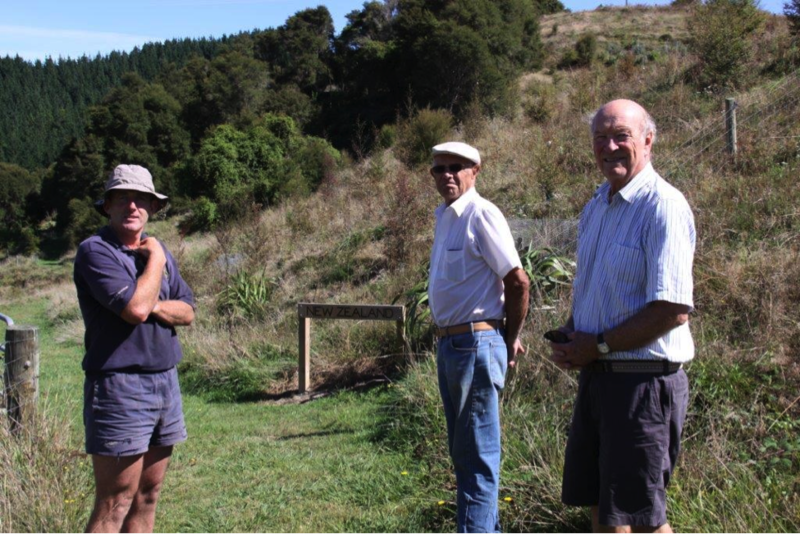 Vern Paulus, centre, with George Christison (left) and John Nott at the entrance to New Zealand section early in 2014. Over recent years, Vern Paulus from the USA has been very supportive of Guthrie-Smith Tutira and, while on his regular visits to Hawke’s Bay, he frequently visited the Arboretum with Trustees to observe progress. In April of this year, the Paulus Family Foundation made a generous donation to the Trust. Sadly Vern Paulus died in August ; we will certainly miss his wisdom, encouragement and enthusiasm. We extend our deepest sympathy to his family. David Allan, Chairman. George on the new Kubota mower. We recently purchased a new mower for the centre. The new Kubota is more efficient, robust, and stable than the previous one, which was beginning to become expensive to maintain. 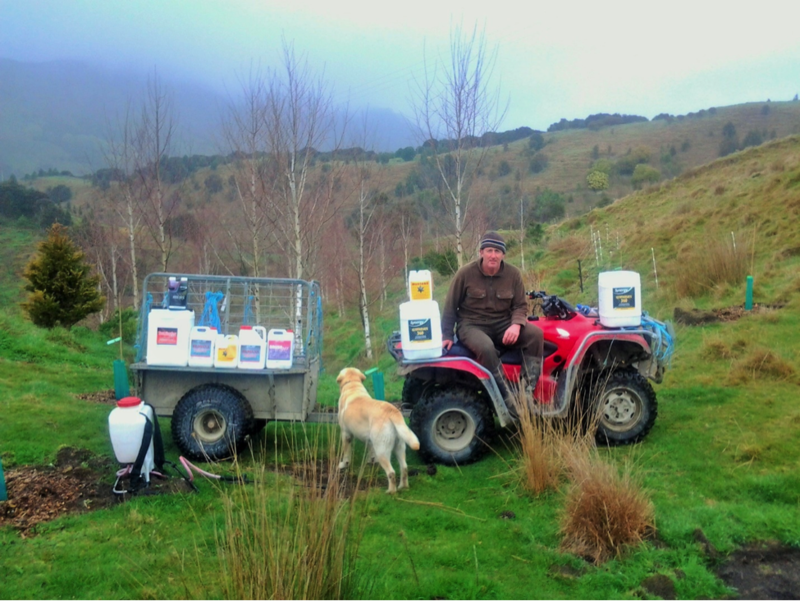 The Trust is very grateful to the support shown by Norwood Farm Machinery Centre and Kubota NZ. 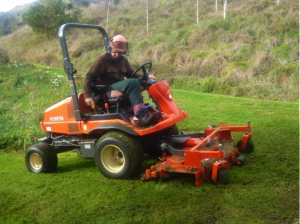 “The new Kubota mower supported by the Norwood Farm Machinery Centre enables me to get round our tracks a lot quicker than the old Walker mower. It has a larger cutting deck with more power. 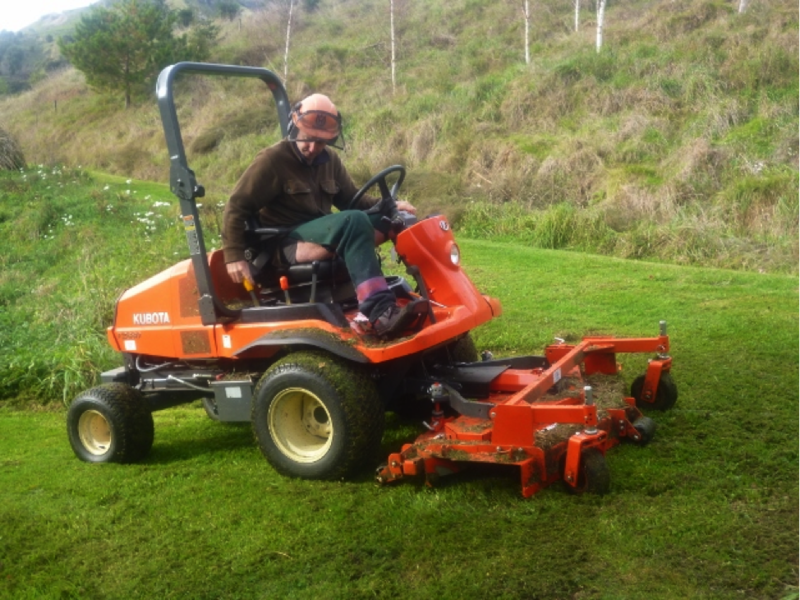 The new mower is better suited to the type of work we have and will help open up new tracks and keep the property looking tidier.” George Christison, Curator. George and Cooch with products donated from Orion. Curator George Christison and Cooch, with chemical kindly donated by Orion Crop Protection Ltd, supporters of the Arboretum for the last two years. 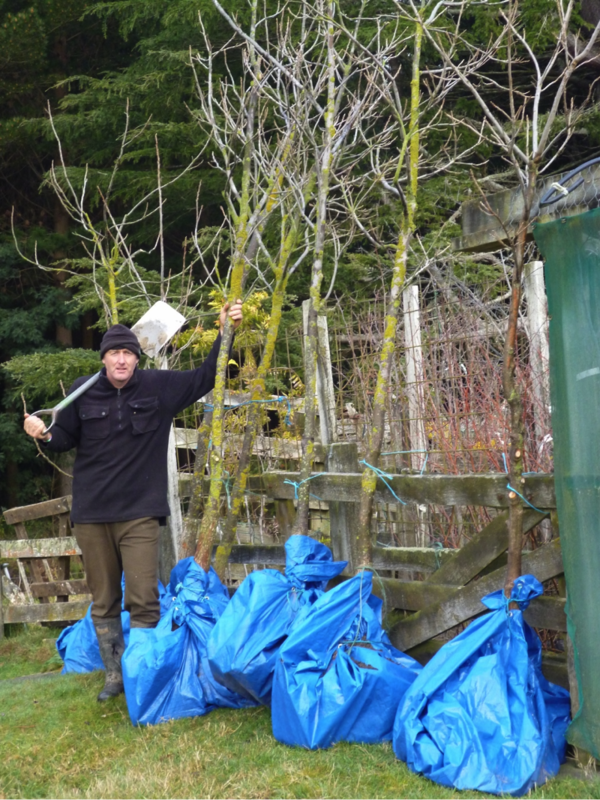 Weed work is a big part of keeping the Arboretum presentable and crucial for the establishment of trees. A special thank you to Orion for their ongoing support. 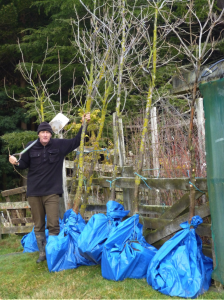 Curator George Christison about to plant some large Pecan trees donated to the Arboretum by Don and Lyndon Watson. Kindly dug out for transporting and replanting by City Hire Centre, Napier. George getting ready to plant the Pecan trees.